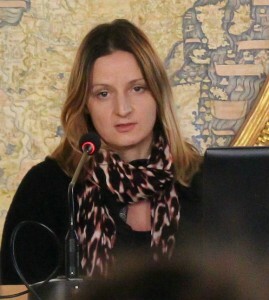 Sanja Halling is a Senior Advisor at Digisam, a secretariat at Swedish National Archives, responsible for the Swedish national coordination of digitisation, digital preservation and digital access to cultural heritage. Sanja has been involved in several european projects about digital cutural heritage like DC-NET, Linked Heritage, DCH-RP and now ongoing Athena Plus. She previously worked at several museums and other cultural organisations. Sanja studied Curatorship and got a Masters degree in History of Art.